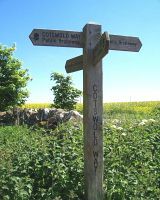 Promote your Town or Village here to get a greater share of the Tourists visiting the Cotswolds. Take advantage of our 6500 unique daily visitors to our website. Work in Partnership with Cotswolds.Info - the World's largest Internet resource for the unique Cotswolds. The Cotswolds is an expanse of gently sloping green hills and ancient, picturesque towns and villages in south-western and west-central England. It is a designated as an area of Outstanding Natural Beauty, the largest in the country, and its quintessentially English charm predominantly spans the counties of Gloucestershire and Oxfordshire, while also reaching into parts of Wiltshire, Somerset, Worcestershire and Warwickshire. 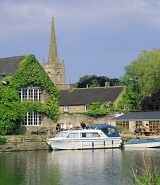 The Cotswolds has the largest number of conservation areas of any English region for the travel visitor to see. It stretches from the northern gateway of Broadway to the magnificent roman town and Georgian city of Bath on the southern fringes. The fringes of the region include Shakespeare's Stratford upon Avon, the king maker's castle of Warwick, the historic academia of Oxford, and Winston Churchill's childhood home, Blenheim Palace. In the northern portion, step back in time by wandering the streets of the Regency spa town, Cheltenham, as well as ancient market towns like Stow-on-the-Wold, Chipping Campden and Anglo-Saxon Winchcombe – where you’ll discover Sudeley Castle. Beautiful ancient villages of note in this area include Broadway ('Jewel of the Cotswolds'), Bourton-on-the-Water (Little Venice), Stanton, and Snowshill. Some of the best Cotswold gardens can be found all within a five-mile radius, including Batsford Arboretum, Hidcote, Kiftsgate, Sezincote and Bourton House. Leading visitor attractions include Snowshill Manor, the mysterious Rollright Stones and Chastleton House. Moving into the middle portion, some particularly special historic towns include Cirencester (the Roman capital of the Cotswolds), Tetbury, Painswick (often called Queen of the Cotswolds), Burford, Malmesbury, Woodstock (home of Blenheim Palace), Nailsworth, Minchinhampton, Bradford-on-Avon and Chippenham. Some tourist attractions of special note are Westonbirt Arboretum (near Tetbury), Woodchester Mansion, Kelmscot Manor, Malmesbury Abbey and Gardens, Owlpen Manor, and Prinknash Abbey and not forgetting the village of Bibury which was once described by William Morris as 'the most beautiful village in the Cotswolds'. In the south part of the Cotswolds you’ll find the World Heritage City of Bath and lovey, ancient, untouched villages like Lacock and Castle Combe. Not only is the Cotswolds home to unspoiled heritage communities dating back five to six hundred years, but the surrounding rolling countryside with its 3000 miles of public footpaths is steeped in prehistory too. It’s an area rich in Neolithic remains, with about 80 long barrows, the remains of some 400 round barrows, and many Iron Age hill forts. The Cotswolds is particularly famous for its ancient honey-coloured limestone, which was used to build the villages and bustling market towns. The warm, mellow colour of the communities blends perfectly with the surrounding golden green countryside — a big part of what makes the Cotswolds so breathtakingly distinctive. "The truth is that it has no colour that can be described. Even when the sun is obscured and the light is cold, these walls are still faintly warm and luminous, as if they knew the trick of keeping the lost sunlight of centuries glimmering about them." 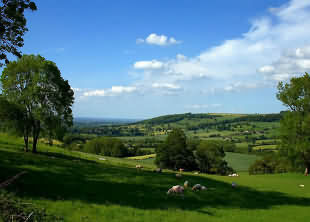 The Cotswolds is one of the most treasured and visited destinations in the UK and indeed the world. Nowhere else will you find such timeless, unique and heart-warming preservation on such a scale. No doubt a reason it recently placed number two on a list of top ten paradise locations on earth. The Cotswolds is a very rural region interlaced with many thousands of miles of country lanes. Many of the ancient villages are hidden in idylic valleys and within wooded hills. To fully explore these timeless places touring by car is certainly the best option and if you do not want to drive then the hire of a Chauffeur Personal Car is a good alternative. Tours by Bus or Coach companies are available for exploring the more accessible towns and villages. 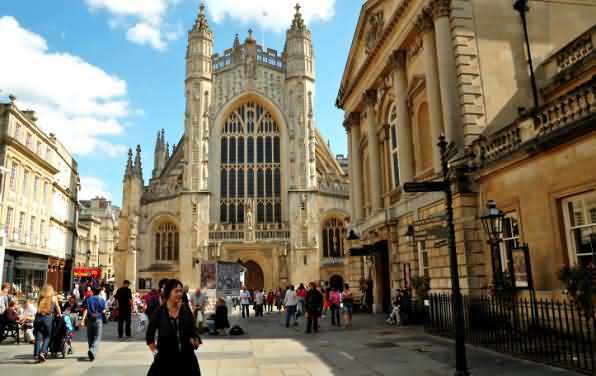 Touring by using Public Buses can be done reasonably easily but it is suggested you choose your base at a largish Cotswold town to have more choice of destination places to explore. Touring by using an Organised Tour Company is a 'hassle free' way of seeing the best of the region. The Cotswolds are at the heart of the British Rail network with mainline trains to the Cotswolds from London, the Midlands and the North and the South West of England. Moreton-in-Marsh, Worcester, Stonehouse and Stroud. Visitors as part of a rail based holiday are recommended to plan accommodation within easy reach of these stations. From London Paddington to Moreton-in-Marsh via Charlbury and Kingham and ending at Worcester.